Founded in 1994, Arlecchino was formed in an time of great opportunities, at the intersection of old and new eras. The company’s main sector is the organisation of business and festive events, all under the watchful eye of professional managers and technical experts. By extending its activities beyond the norm, Arlecchino actively adopts the experience of Western colleagues and heads for high-level organisation of the events on which it works. The close co-operation with international shows has significant impact on the creativity levels of Arlecchino. The group employs and works with talented European directors, choreographers and experienced creative managers. This collaboration leads to impressive results and constant development. Today, Arlecchino Group remains true to these core values, yet continues to search for new, unconventional and innovative solutions, capable of hitting the targets of the modern customer. The event industry is by no means standing still, and the company’s main aim is to successfully build on these changes yet remain heading in the direction they started in over 20 years ago. As it was back then, they remain dedicated, with a loving and careful approach to every detail of their events. Moscow-based Arlecchinowere a crucial component of the 2018 World Cup organisation. 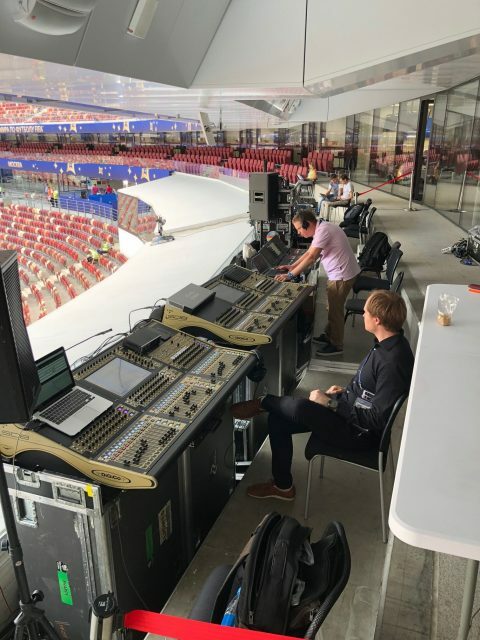 LightSoundJournal had the opportunity to talk with the company’s Technical Director, Alexey Kazyulin, in an exclusive interview about all things “production” for one of the world’s largest sporting events. LightSoundJournal: How long did the sound installation at Luzhniki take? Alexey Kazyulin: Believe it or not, the main installation itself took no more than 48 hours. However, because of a number of issues relating to different information on power as well as the loads that the roof of Luzhniki could handle, ground stacks and associated equipment had to be arranged around the field. This meant we spent around a week in total getting everything prepared. Unfortunately, these were unexpected misunderstandings that were impossible to anticipate. What was good was that we were then able to take these difficulties into consideration before the closing ceremony, with this installation going really smoothly and taking the original 48 hours as planned. LightSoundJournal: How did the preparation for the installation go? 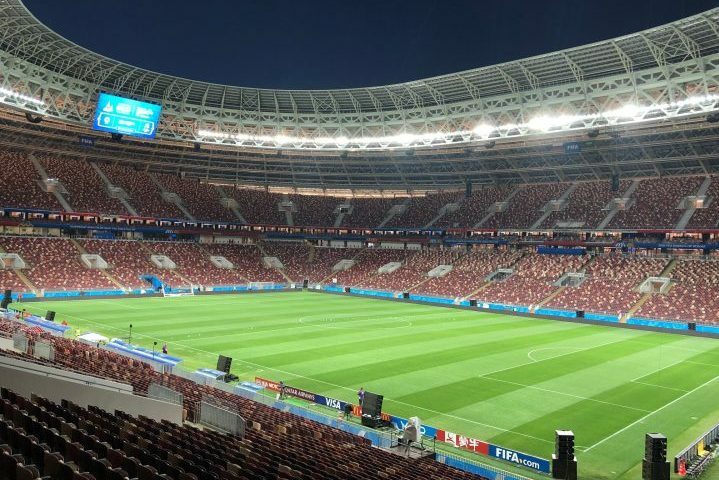 Alexey Kazyulin: Initial preparations encountered some difficulties, due to the initial design not being possible in terms of the limited weight that could be hung from the load bearing structures of stadium’s roof. For this reason, we had to urgently create a compromise that could allow us to provide equal coverage along the bottom part of the tribunes, as well as the balcony sections. For this, we had to use a system of ground stacks, composed of one M3D-Sub and four MILO units, with the stack on castors. We had to do this because all of this equipment located on a field had to disappear from view within just 3 minutes. This was certainly a challenge, but we succeeded. It really is possible: 14 ground stacks at 800 kg each can be disconnected and driven away in just 3 minutes. 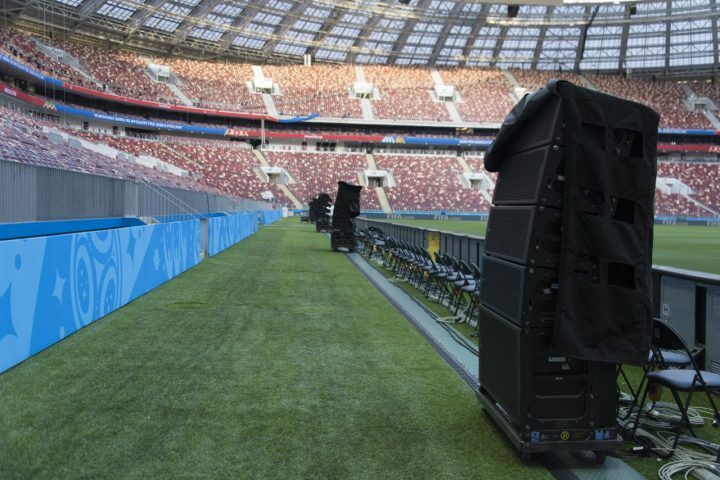 LightSoundJournal: What number of sound engineers and technicians were involved in Luzhniki stadium during preparation? Alexey Kazyulin: The main difficulty of setting the clusters was their positioning. They were suspended right at the middle of bottom tribunes and during their suspension we had to raise each element separately. This is quite an elegant way of installing loudspeakers which weigh 126kg each! In fact, 12 technicians and 12 stagehands worked on this every day. During the ceremony we had the main system engineer, Oleg Panin, who was also responsible for the speeches of President V. Putin and Mr. Infantino. Alongside we had 2 highly professional playback operators: Stanislav Saveliev and Oleg Gusev, as well as two console engineers for headliners, four microphone operators and four backline technicians. Boris Zhilin was responsible for everything related to the artists’ equipment, with RF-management carried out by Dmitriy Zabrodin and Fedor Vinogradov. We also had around 100 people helping to transport the backline, monitor world and all the loudspeakers that had appear and disappear from the field in just 3 minutes. LightSoundJournal: Were specialists from other companies involved? 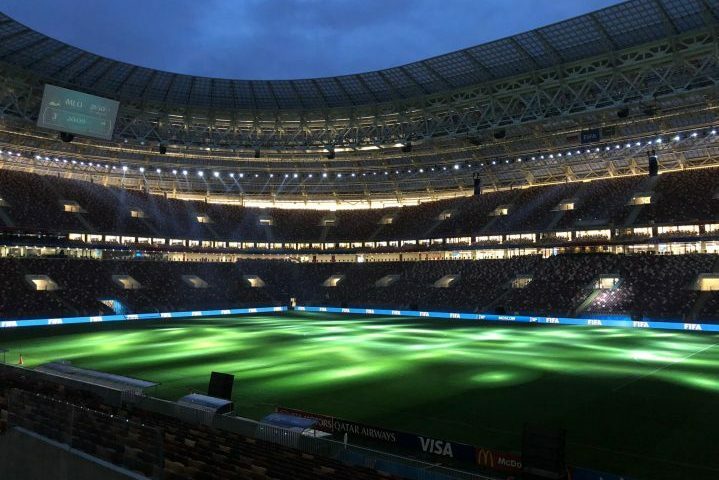 Alexey Kazyulin: Yes, the first design was prepared by Vladimir Zverev, but unfortunately that project was unsuitable for the stadium’s specifications. We also worked with DiGiCo console engineers, as well as Fedor Vinogradov, Sennheiser Russia’s head-engineer. He managed headliner Robbie Williams, who prefers to work with the german-produced radio systems. 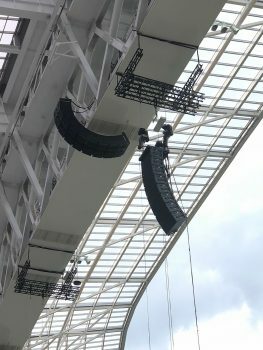 LightSoundJournal: Meyer Sound loudspeakers featured heavily in the installation at the stadium. What equipment was used in the system? 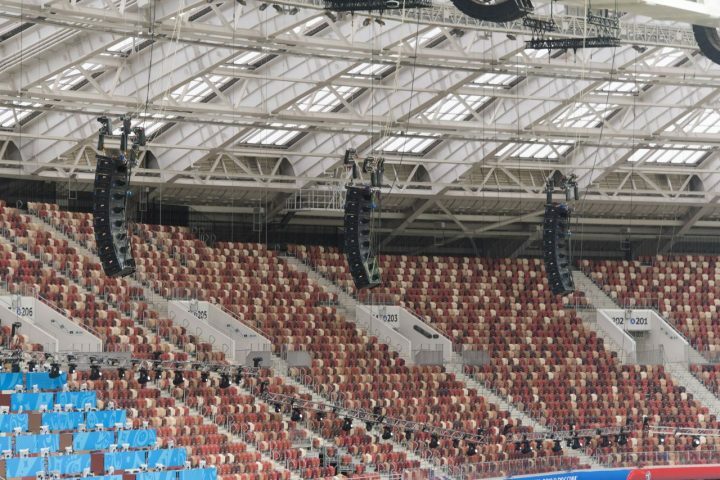 Alexey Kazyulin: We chose Meyer Systems to cover the majority of the stadium as they are rated as the most reliable and high-quality speakers available. During initial stages, we planned for 24 Leo-M loudspeakers, 116 MILO, 8 MICA, 8 M3D-Sub and 2 600-HP, with 6 Galileo Galaxy 816 processors. Unfortunately, for several reasons, we utilised only 24 Leo-M loudspeakers, 48 MILO, 8 MICA, 8 M3D-Sub and 2 600-HP. 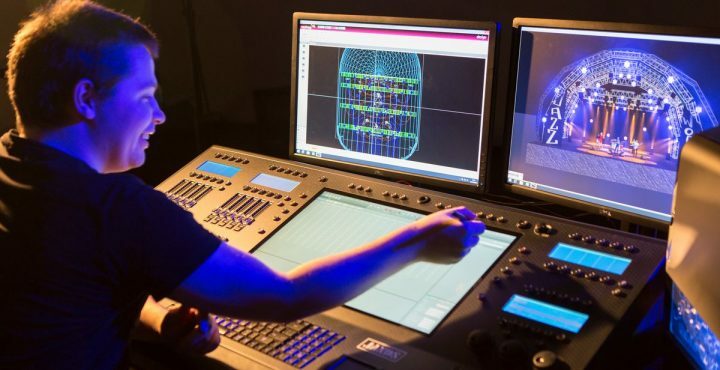 LightSoundJournal: Which mixing consoles are you using? Alexey Kazyulin: For the main mixing controllers we have chosen several Yamaha CL5, working together through MIDI-protocol for synchronisation, but using active splitters from there. 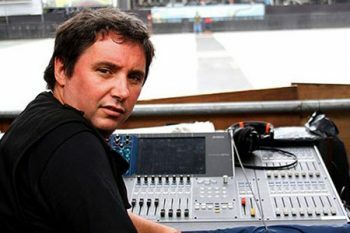 The artists worked with DiGiCo consoles – two consoles at FOH and an SD7 for the monitoring engineer. The signal has been transmitted through Optocore optical multi-cores. LightSoundJournal: Please tell about the equipment used during the installation (suspension system, motors etc). Alexey Kazyulin: In general, nothing special has been used. Standard Chain Master BGV-D8 motors. Of course each hoist was insured with metal cable. LightSoundJournal: Were you involved in the lighting equipment? If so, can you tell us about what was used? Alexey Kazyulin: Yes of course. For many years now we have been working with the Italian lighting company Claypaky as the main provider for our fixtures. 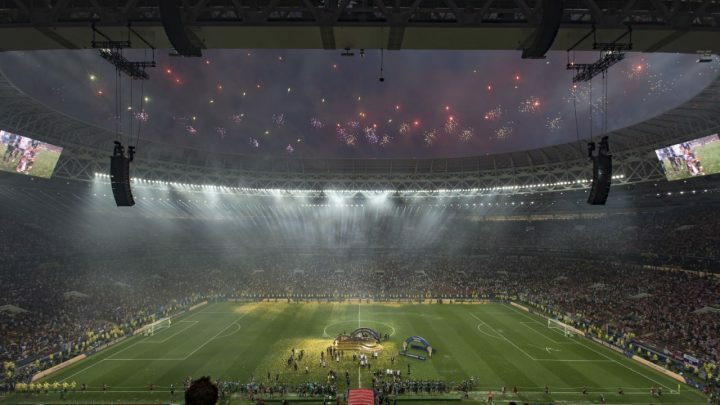 There range flawlessly suited our lighting requirements for the Football World Cup Opening Ceremony. We have used 200 Sharpy, 50 Scenius Spot, 50 Scenius Unico and 100 Stormy CC. These were operated on four Hog 4 consoles, with signal transmission through Neutrik OpticalCON Quad, of which over a kilometre of which was utilised through the stadium. 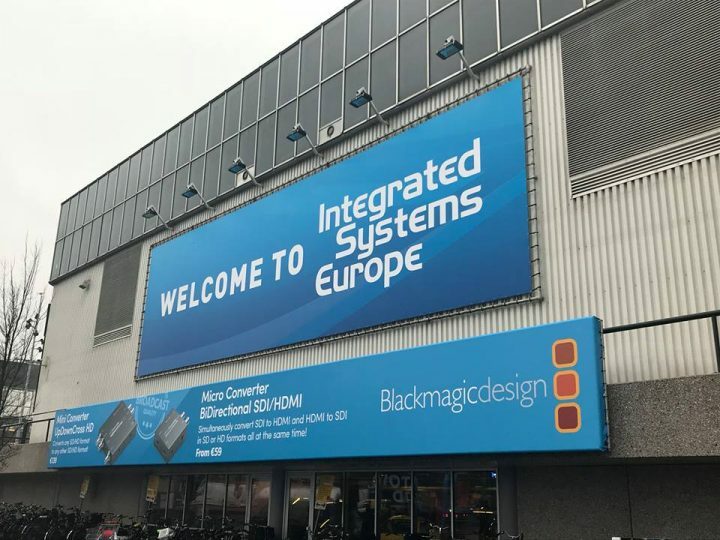 At the closing ceremony, this list also included 180 A.leda B-EYE K20 devices. LightSoundJournal: Did you work on any other spaces during the tournament (Fan zones for example)? Alexey Kazyulin: Yes, we had worked across several FWC-related events, one of which was the Mexico fan zone in Gostiny Dvor. At Qatar museum in Gorky Park, the dreamlike media cube, we helped to project amazing 360 degree video content about Qatar and upcoming 2022 World Cup across the entirety of the walls. In here, we have used 4 CQ-2 loudspeakers and 4 700-РЗ subwoofers. The content was provided in 4.1, with the speakers suspended at a hight of 10 metres. CQ-2 managed to transmit this 4.1 content magnificently, owing to great fidelity of sound, precise directionality and high SPL. Qatar House also hosted a CPC&R outdoor event where we used 3 CQ-2 loudspeakers, 10 UPA-1P, 4 UPJ-1P and 3 MM-4XP. Unfortunately I can’t advertise the rest of the events, but we also used Meyer Sound equipment for these with great success. LightSoundJournal: What equipment do you use in Fan zones? 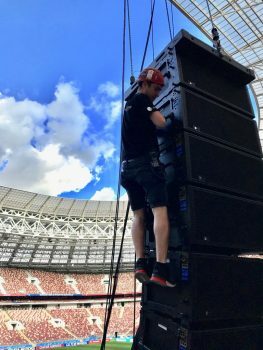 Alexey Kazyulin: In Gostiny Dvor we used 16 Leo-M, 8 Lyon loudspeakers, 12 1100-LFC and 20 MILO as delays. A big thanks goes to our friends from Sound Café for supporting us during this series of events and helping us to provide the perfect Meyer Sound system for each of them. LightSoundJournal: Is this your first event of this scale or have you already worked on similar events? Alexey Kazyulin: It’s far from being the biggest event in the company’s history in terms of the scale and the quantity of equipment, but certainly the first one in terms of this level of responsibility and this number of spectators. LightSoundJournal: Are you currently running other events not related to football during the World Cup? Alexey Kazyulin: Yes, we’ve been working on many events besides FIFA 2018, but we are mostly providing lighting equipment for these. LightSoundJournal: Did you have to use reserve equipment during the work? Alexey Kazyulin: Of course, we have had to employ huge numbers of fixtures for the series of events. LightSoundJournal: Did you have any unexpected difficulties during your work at Luzhniki Stadium? Alexey Kazyulin: The main difficulties surrounded the surprisingly humble load available on the stadium’s structure, meaning that we couldn’t perform the initial plan. Fortunately, we were able to find a solution to all of these difficulties. As for positive outcomes from the work carried out, we were particularly proud of the system for transmitting a variety of signal types from any point in the stadium to another. Thanks to BSA engineers, we succeeded in transmitting analog audio signal from the FOH location to 6 locations on the bridges and 4 locations around the stadium without delay or loss of signal level. We achieved this through the local Optocore system, and also through the Galileo operating network, with no failures or issues at any time. © 2001 – 2018 NRG30 srl. All rights reserved.